Licensing reminds me of the old saying, tell me the rules (Microsoft) and I will play your game. Every aspect of Terminal Services Licensing has its share of shocks. If at least one aspect of licensing does not surprise you, then I will eat my hat. Does is slightly surprise you that Microsoft give us 120 days to sort out the Per User licensing? Within the grace period you need to iron out your strategy and then contact your supplier to buy the required number of licenses. Have a think about who and what will use Remote Desktops. Count number of users, and then count the number of devices. If number of users is less than number of devices, then buy what Microsoft calls ‘per User licenses’, else buy per Device licenses. These licenses are often referred to as CALs (Client Access Licenses). If the decision is close then a per User license is cheaper. For example, if you have geeks with a laptop, a hand held device and a palm top. Occasionally the geek even uses Remote Desktop from their workstation. The answer is buy one per user license rather than 4 device licenses, one for each of their ‘toys’. Where the per Device option is more economical is if you have kiosks or communal machines. I do believe that you can combine both per User and per Device licenses. Incidentally, the per Device licenses are help by the local operating system. Time for my warning. Microsoft has a habit of changing the licensing rules so do get confirmation of anything that I say from your trusty Microsoft supplier. You really should pick the sales people’s brains when it comes to Terminal Services Licensing. My mate ‘Mad’ Mick bought a 5 CAL User pack for $80 on ebay, however I understand the normal price is $400+ for a 5 CAL Terminal Server User pack. I understand that per Device Licenses are considerably more c$800. Microsoft’s justification is that you are getting an XP Professional desktop which is normally $200+. Time for another shock, not only do you need a Terminal Services CAL, but also you need a regular Windows Server 2003 CAL. Yes that’s two licenses for one connection. I am going to get all the bad news over in one section. In Windows 2000 Terminal Service, all XP Machines had a built-in Terminal Service License. The bad news is that XP’s built-in license is not valid on a Windows 2003 Terminal Server. While this change may seem outrageous, in practical terms how much does it really matter? How often would an XP Machine need a Terminal Server session? 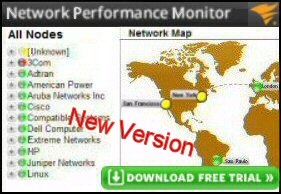 If it were you or me then we could take advantage of the 2 free Administrator’s connections. Another surprise, there is yet another license scheme called ECL – External Connection Licenses. I had a friend who ran a training company from a tiny island, he gave is worldwide customers an XP Desktop experience with his special External License. The idea is rather like a per server license, it cost him tens of thousands of dollars and the paper works was a nightmare before Microsoft would license his operation. In fact with Windows Server 2003, the Terminal Server Licensing does not need to be a domain controller. This is a rare example of Microsoft making licensing becoming easier. At least it’s easier if you configure the Terminal Server Licensing servers via Group Policy. Next, type in the names of the license servers that you want this Terminal Server to contact when attempting to obtain CALs. See more on Group Policies for Terminal Services here. If you prefer to hack the registry this is the alternative method. Scenario, your Terminal Services License server is called Tslicsvr. Finally add a subkey with the NetBios name of the server (in our example Tslicsvr, in real life substitute the name of yourserver). In many ways you have little to lose by installing a second licence server for fault tolerance. The license database may take 10MB but Windows Server 2003 should be able to afford that space. Domain and Enterprise Licensing are two options for the Windows Server 2003. Make it your reflex to choose the Domain option. The Enterprise License is designed for different domains, provided they are at the same site. The key point is that Terminal Services requires a two stage authentication with Microsoft Clearinghouse. Firstly, activate your Windows Server 2003 to be a certified Terminal Services machine. Secondly, install the CALs that you buy. Remember thatTerminal Services provides 3 interfaces, in this instance we need the Terminal Server Licensing. Once the snap-in launches, right-click the Server (GUIDO in the screen shot) and select Properties. From here on your own, however the method is similar to other Microsoft activation procedures. Just remember to have the Terminal Services License Pak numbers that you purchased. 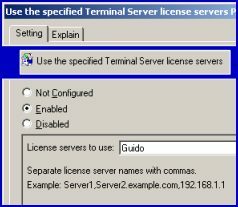 Take as example, the situation where you have one licensing server and 4 Windows 2003 Servers with Terminal Services, then the license server will issue licences to each server that requests a license. If you want to control aspects of Terminal Servers then you should invest time and create groups. If you have more than one Terminal Services Server it is best to manage Terminal Server computer accounts through groups. Add these computer accounts to the local Terminal Services Computers group. 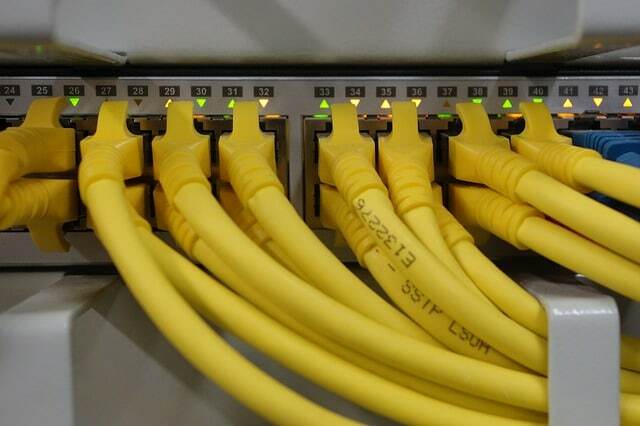 Alternatively add an extra step and create a global group for the Terminal Servers and that to the domain local Terminal Services Computers group. This method allows a domain administrator to manage a single container of computer accounts. The secret of Terminal Server Licensing is to plan your mode, per user or per device; then install the Terminal Service Licensing on the Windows 2003 domain controller. Good luck with negotiating a rock bottom price for your CALs.